Their buildings are designed from the ground up to offer a truly custom fit for clients. The best price is given upfront, and all buildings are constructed in a state-of-the-art facility. The company uses only leading commercial-grade steel in the U.S., with a flexible design and a 40-year rust-through perforation warranty on all roof panels. 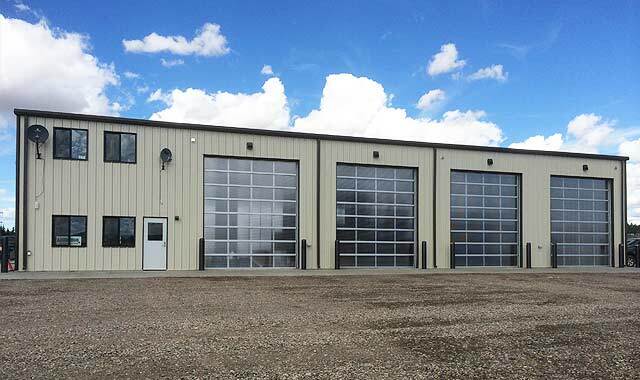 The company has been making pre-engineered steel buildings for over 40 years, and the high-quality and industry-leading warranty makes Olympia’s buildings a must-have in the industry. PBR Roof Panels that come with 26-gauge Purlin Bearing panels, which are stronger than the “R” roof panels most commonly featured in newly-built homes. Silicone Polyester Coating, which offers precision coating using AkzoNobel paints that protect the exterior and add to the building’s longevity and durability. Galvanized steel for the most important sections of the building to protect against rust, including wall girts, c-sections and roof purlins. Self Drilling Fasteners to allow for rapid drilling with slip-resistance and a stainless steel cap feature. Steel I-beam and main frame construction to add to the building’s strength. The steel features a gray primer oxide on the frames, which act as a corrosion protectant. Every building is designed for the future, and since every building is designed to your specific needs, this means a long-lasting, durable building that can withstand the test of time. How Much Do Olympia Steel Buildings Cost? Every steel building has the opportunity to be customized and designed to fit the needs of the customer – you. The company requires each and every building to be estimated via the company’s estimate form. When ordering a larger building, the company will often be able to secure steeper discounts and be able to lower the costs of the building drastically. Every building comes with a step-by-step manual, with computer drawings that show you how to erect the building yourself. If you choose to use the manual, you’ll be able to erect the entire building solo without needing to pay a builder. And this can reduce the pricing by 50% or more in many cases. Keep in mind that you’ll still need to rent the forklift or use your own to get the building supplies off of the trailer if you go this route. This can add another $500 – $1,000 or more to the cost of the building. What’s great is that Olympia Steel Buildings reviews give us insight into the true cost of actual buildings. These costs are aligned with the prices we mentioned previously. The cost of a garage is $6,000 – $8,000 on average, and a 30′ x 40′ building costs between $25,000 and $35,000 with installation and concrete poured. You can build your own Quonset hut for $7,000 to $8,000. A building that is twice the size often costs significantly less per square feet, which makes it a more viable option in terms of cost-effectiveness. 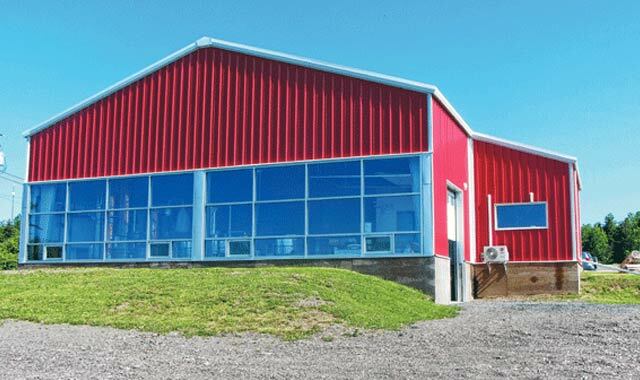 Olympia Steel Buildings provides exceptional design services that are customized to the exact needs and specifications of the customer, but the company offers additional services, too. The company uses Rutherford Construction Corp as their official contractor. This company has over 25 years experience and is a single source of accountability. The company’s architectural and engineering experience allows them to take an affordable, superior approach to each building. The company employs techniques that provide long-term benefits and longevity. All plans are designed to your requirements, allowing the construction process to be streamlined. Jobsite safety is a key important factor in every building, with Rutherford being an experienced, fully insured entity that uses only experienced and certified crews for their buildings. Every building starts with a direct contact to Olympia to discuss your needs and project costs. The company will walk you through the entire construction and design process to ensure that the ideal, cost-effective building is constructed. Estimates are accurate, with the company breaking down all of the costs and helping clients remain in their budget without sacrificing on the building’s design and function. Strong and durable, every building is virtually maintenance-free. The company’s buildings also meet all local code requirements, and the building’s construction is strong enough to withstand hurricane winds. 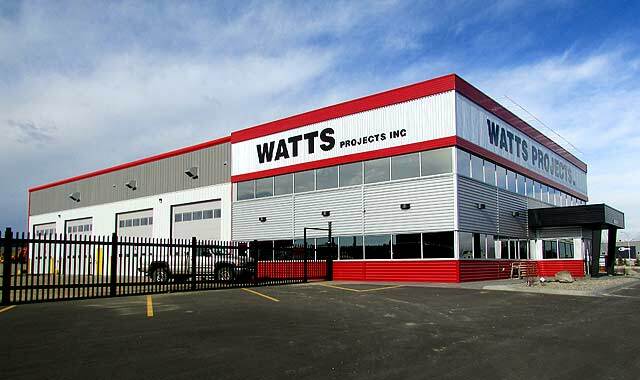 The company’s state-of-the-art manufacturing plant ensures that customers receive the highest quality building that utilizes the highest quality U.S. steel. Olympia Steel building kits save customers money and greatly reduce construction costs, too. All images are courtesy of OlympiaBuildings.com.